Catch every episode! Subscribe now. 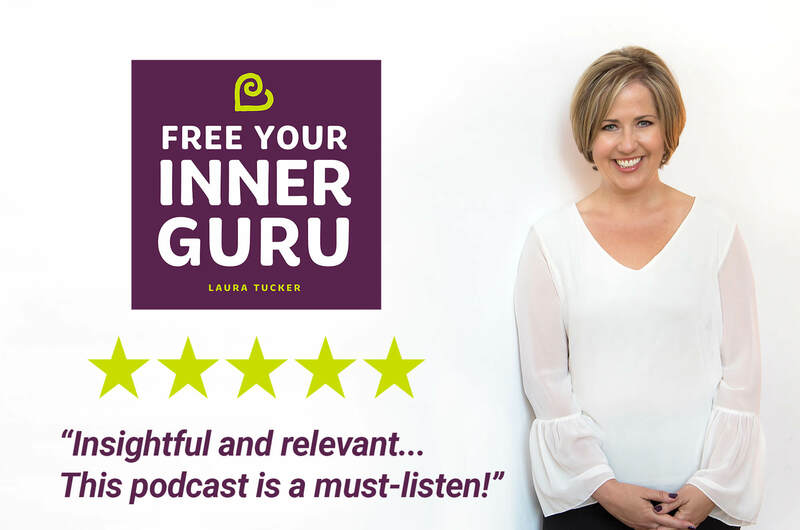 The Free Your Inner Guru Podcast™ is known for big conversations about conscious leadership, personal development, spirituality and the self help industry. You can become the leader you want to see in the world. Everything you need is inside of you. Your job is to find it and bring it into the world. When you free your inner guru, you become the leader you want to see in the world. The Free Your Inner Guru™ Podcast is a safe space for personal growth where we gather to share stories and insights on how to connect to the wisdom within. We must each claim our voice - our inner guru - and use it. Loud, clear and decisive, that voice is in you, as it is in all of us. Hear from host Laura Tucker and other leaders on the spiritual path to success. Learn the tools and strategies they use to connect to their inner guidance, embrace their core values and carve out an empowered, conscious and meaningful path to lasting success. We are more than a podcast! Join the Free Your Inner Guru online community.